In St. Louis' Forest Park you will find a hidden treasure - The Muny. 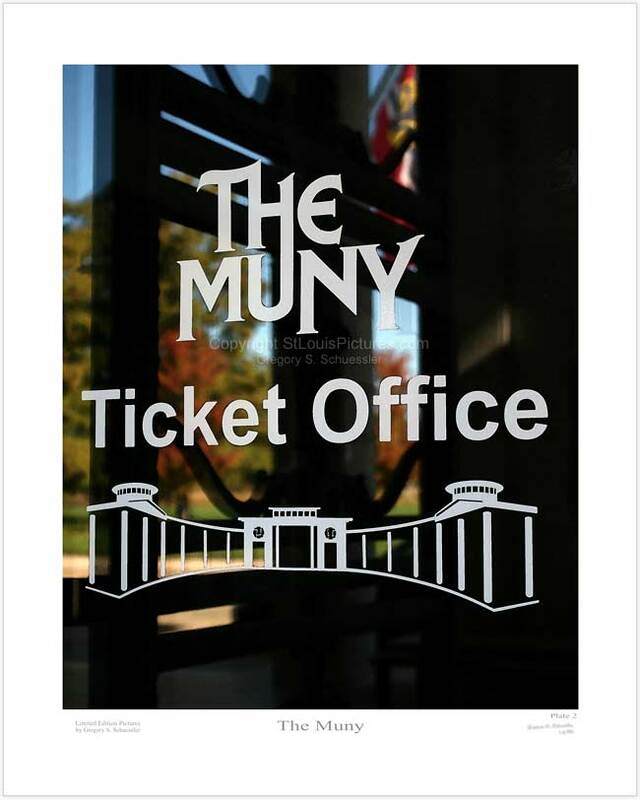 In this picture we see the etched logo of The Muny on the ticket office doors. In the reflection of the doors we see the antique gate and the St. Louis flag.